Last week after a ton of talk about the internet, I was very curious about how many people actually use the internet. After much research, the answer has been found! 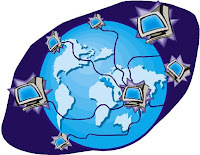 The answer to this question is a bit difficult to calculate because of the massive amounts of internet use. The general answer seems to be that just over a billion people used the Internet in 2008. 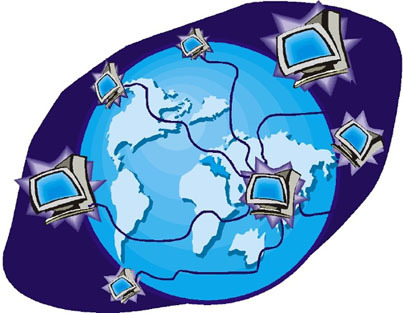 Of these, about 500 million use the Internet at least once a week, making them more-or-less permanent citizens of the Internet population. That's a lot of people!!! This past week in Ethic's Class was very interesting, partially because Mr. C wasn't there! At the beginning of the week spent some time talking about Heroic Imagination. 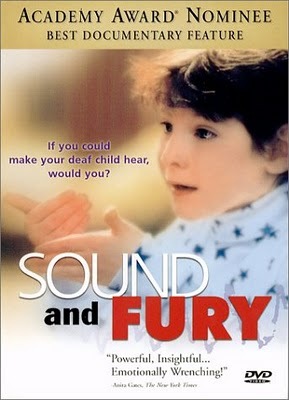 Later in the week, we began watching Sounds of Fury and learning about the deaf community. All in all, it was an interesting week. I definitely thought that watching Sounds of Fury was the most interesting part of the week! I knew that there were many deaf people in this world, but I never knew how complex their world was! This movie truly enlightened me to the deaf community! I never knew that there were schools created especially for deaf children, as well as deaf housing communities. I think that it is absolutely wonderful that the US has the options available! I think that the children would benefit greatly by being around other children that deal with the same disabilities. They could learn from each other and come out better in the end! I feel that the same thing is true about the deaf housing communities. The families could be interdependent and learn a lot from one another. All in all, I am inspired by their determination and ability to overcome their adversities. We did not really have a chance to talk about the movie this week during class. We also did not have a chance to share our opinions about whether or not we ourselves would have a Cochlear implant if we were deaf. Personally, I would definitely get one! I know that there are a lot of risks, but there are a ton of benefits! Having the gift of sound is a wonderful thing! The opportunities that open up to people who can hear are endless! I honestly do not understand why people wouldn't want to have the procedure done! People say that it would "change them". Yes,it will change them, but for the better! After a lot of talk about the Deaf community, I am very curious about the deaf population. How many people in this world are deaf? Please stay tuned for the answer next week!